We restore and sell antique heating stoves and vintage cook stoves. 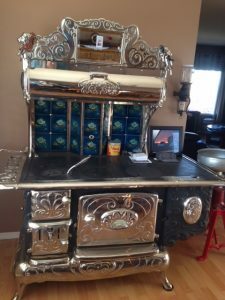 Vintage Stove Restoration is a small family run business that emphasizes quality workmanship and friendly knowledgable service. Our Company was founded on the idea that to let wonderful old stoves rust away or to be broken up for scrap is a crime.